Everyone can learn calligraphy. Even if you think that your handwriting is disgusting, there is that person who wants you to write the wedding invitations with a fountain pen. Especially people like modern calligraphy because it frankly ignores traditional rules and emphasizes individuality. 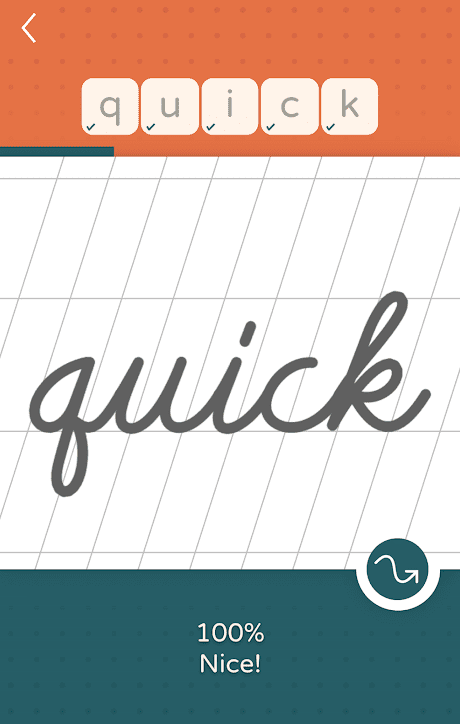 So, you’ve found a perfect tool to study calligraphy fast and easy. 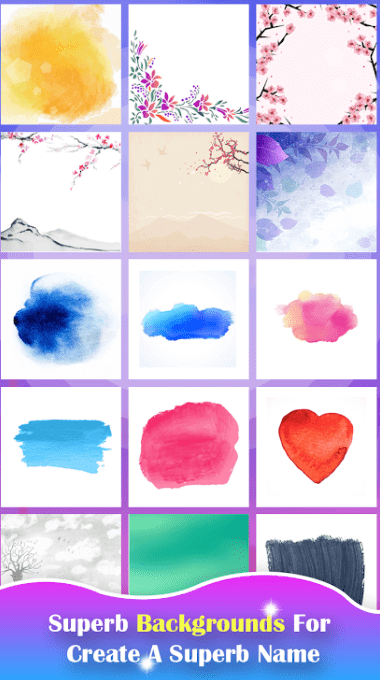 This is Calligraphy Handbook for iPhone. To start learning is simple. You’ll have digital pens and papers at hand. 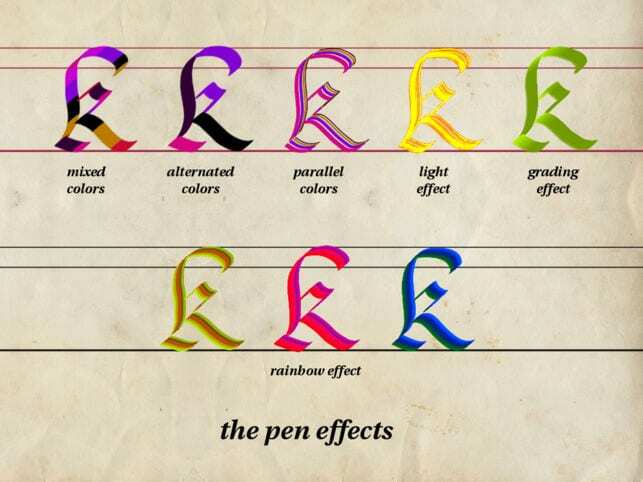 You’ll be able to use such amazing pen and color effects as 11 calligraphic pens, 1 pointed pen, 6 small parallel lines, 4 size-lines, light effect pen, shaded line, rainbow effect, 12 mixed colors effects, 12 alternated colors effects, 1 eraser, and others. 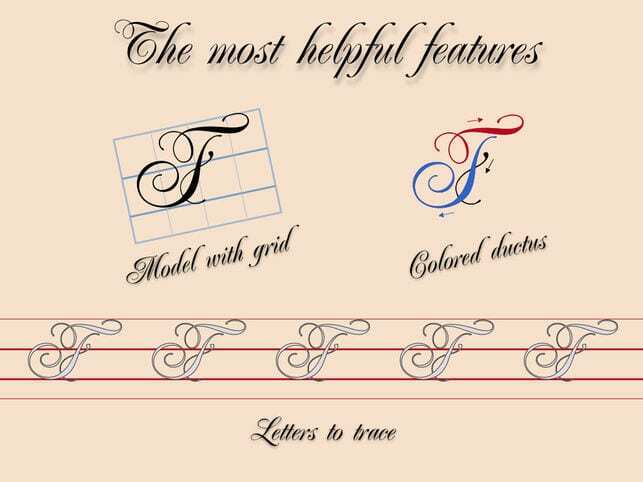 With such a number of calligraphic tools, you’ll create true works of art! There is a built-in gallery to save all your works. After they are ready, your works can be shared (PNG and PDF formats). 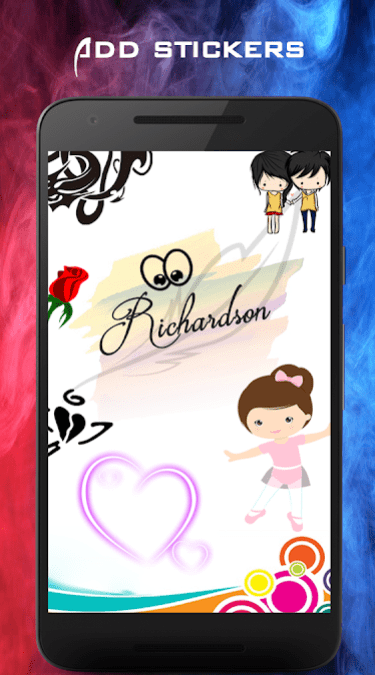 The application contains a kind of entertaining features. You can compete with friends in different calligraphy styles or play an exciting calligraphy game to evaluate your new skills. Someone says that the calligraphy practice calms. There is something meditative about sitting and writing straight rows of identical loops. When you look at such things, it seems that this is unrealistically difficult. Not really. You do not need to be an artist or a designer, you do not even need to have a good handwriting. 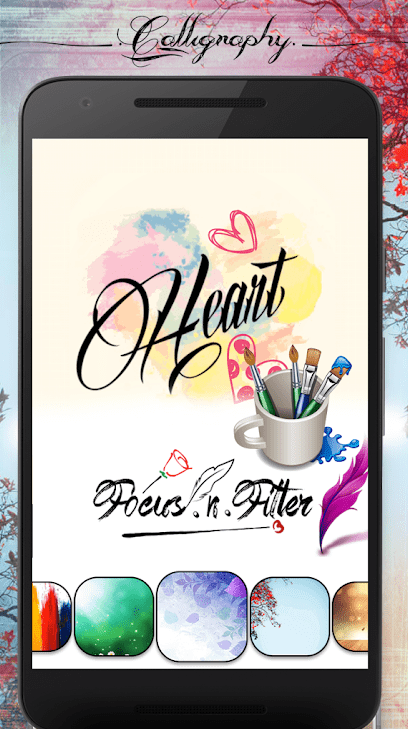 Everything you need is the Calligraphy Penmanship application. This can seem unreal but you can create your masterpieces digitally on your gadget. Just use it as a pointed ink pan and you’ll be able to create elegant and majestic artworks. It worth noting that it is best to use Apple Pencil rather than draw with your fingers. Calligraphy is the art of beautiful writing. Why is calligraphy so attractive? The answer lies in the plasticity of the lines, twisted and frozen in a beautiful dance. 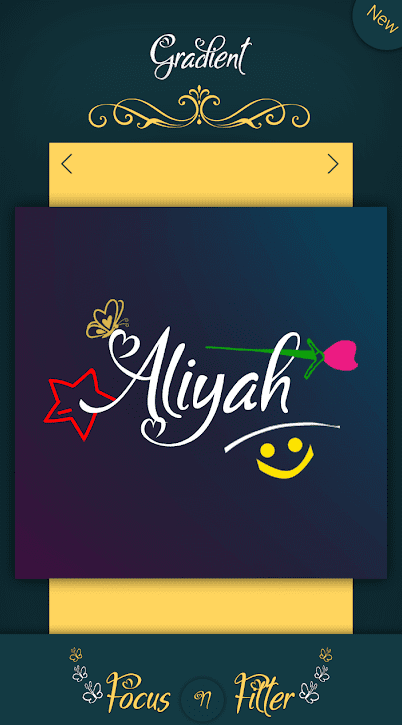 The Calligraphy Name application provides you with more than one hundred font styles to write your name on various backgrounds. It also contains many symbols to decorate your writing. At first glance, the art of calligraphy seems to be very difficult. We often hear a phrase like: “My handwriting is awful, I will never be able to do it so beautifully.” This is all untrue. In calligraphy, as in music, daily training and patience are important. So, you can start right now! Use the Calligrapher application for this. 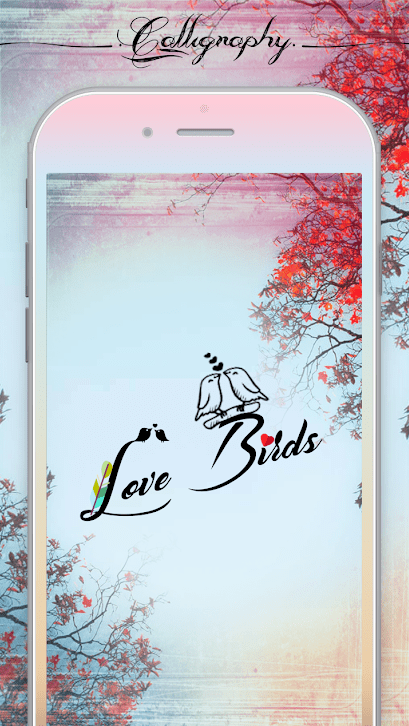 It is available for free for all Android users. The application is simple and has a wide functionality. You can change color, line thickness, transparency and so on. There are different backgrounds to choose from. You can use four kinds of pens (a simple pen, pen, thin pen and wide pen). Your creations can be saved for the further processing. Calligraphy is an art that gives not only aesthetic pleasure but also an applied skill of beautiful writing. It is useful in life and develops a person not only in terms of technology but also in psychological and intellectual. Now you can learn calligraphy anytime and anywhere with a free application LazyDog. The application is easy to use and customizable. 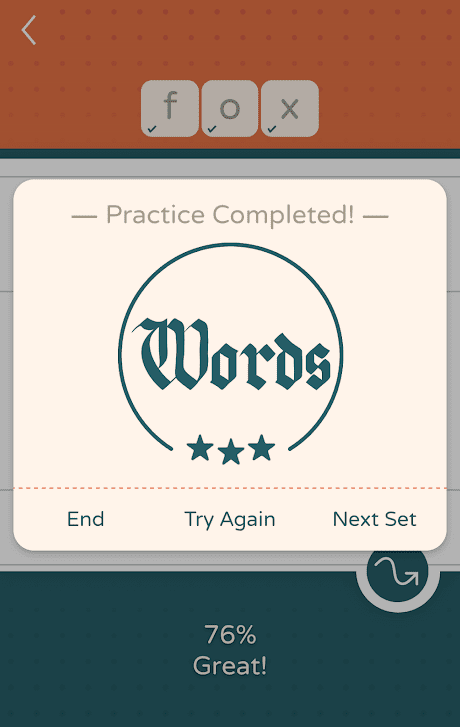 You’ll get quick access to all instruments you need to practice calligraphy. People who didn’t like to write by hand, find pacification and beauty in this occupation. These exercises develop intellectual abilities and a sense of beauty. In addition, calligraphy is simply an interesting and easy exercise, for which it is reasonable to dedicate a few hours a week. And the LazyDog app will help you in it. Even not everyone can boast of a smooth and beautiful handwriting – many people have not learned to hold the pen properly since the school days, while others have lost this ability over time. However, you haven’t to learn a lot to make calligraphy designs. Now it is possible with the calligraphy styles application. It contains a huge collection of calligraphy styles. 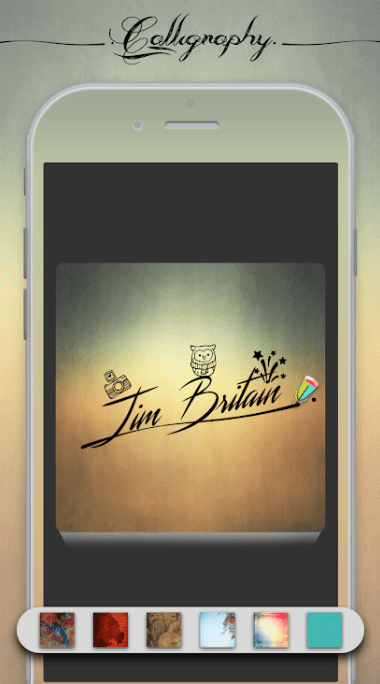 There are also different background and gradients or create your signature. Everything is simple. 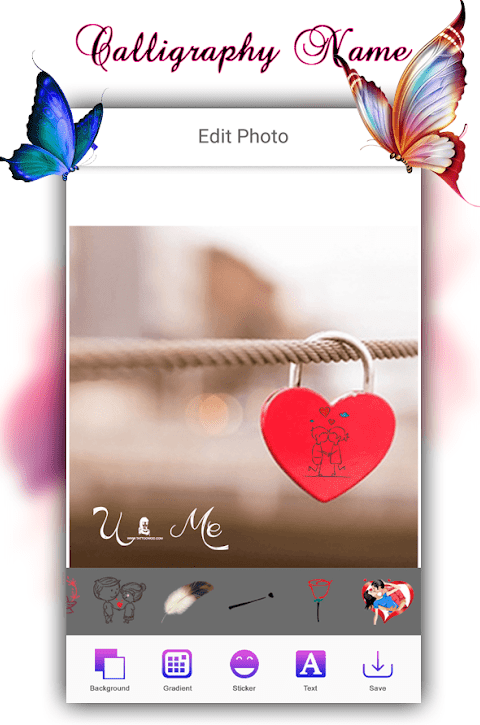 Install the app, choose a photo from your gallery and start decorating it. There are different font styles, stickers, text symbols, backgrounds and gradients to choose from. When your artwork is finished, you can share it on social networks. And really, why is calligraphy needed today, when many are generally not used to holding a pen and write everything, from brief messages to scientific papers, on a computer or a smartphone? Recall that calligraphy is a kind of art and fine art: the beauty of the letters that make up the whimsical intertwining of lines of different thickness attracts no less than the beautiful drawing, and causes the desire to create something like that. You won’t be surprised that now it is available on your smartphone too. 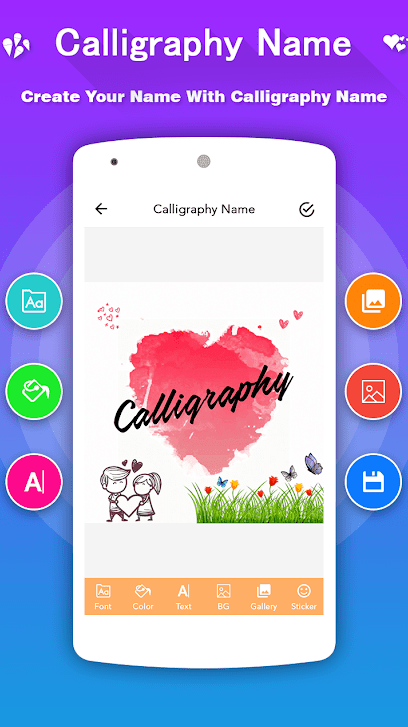 Calligraphy Name is a smart tool that helps you to create real artworks. 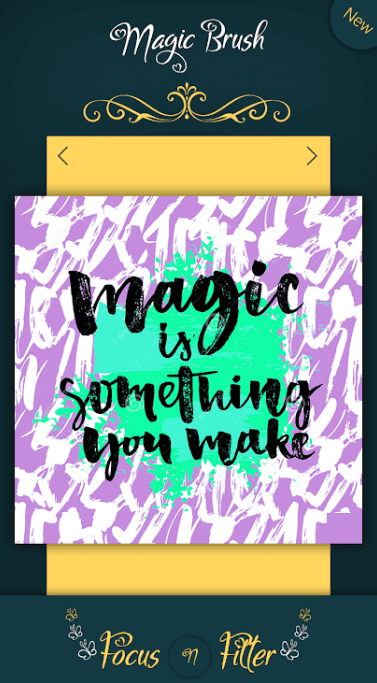 There are different tools to make your creation bright and unique: font styles, stickers, effects, text, color filters, backgrounds, gradients and more. The ready images can be saved on your Android and shared via social networks. Only 25-30 years of rapid development of technology – and we live in a world where the paper for writing is replaced by displays, e-books in bags have changed the usual ones, and children learn to type text on the keyboard before they take the pen. In this context, it may seem that calligraphy is an art doomed. But this is not so. 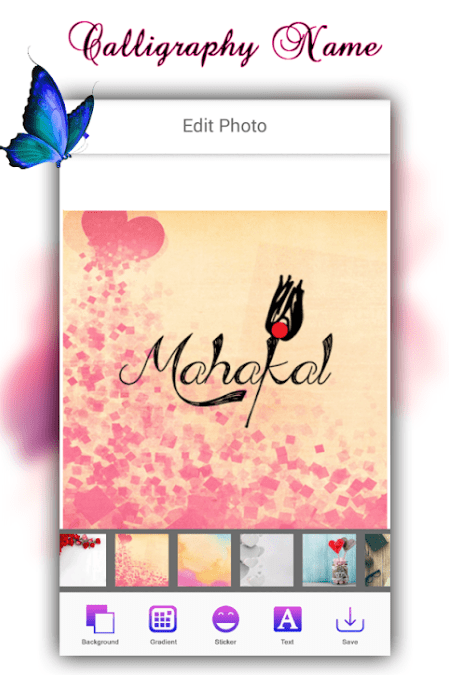 And the Calligraphy Name app by NutShell Innovasion can prove it. 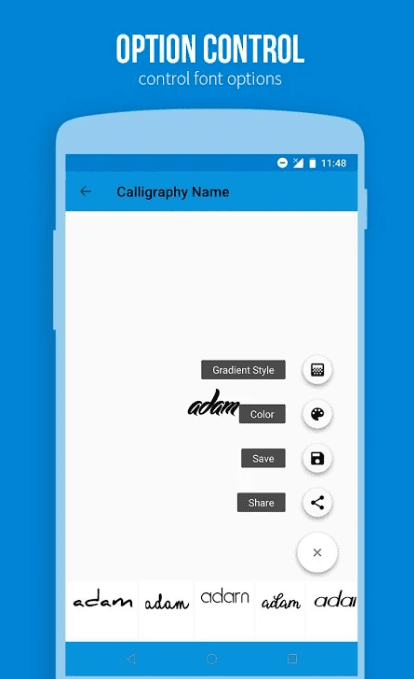 Calligraphy name is a simple tool for Android which helps you to write your name in the stylish text art using calligraphy fonts. You can choose from more than one hundred font styles, backgrounds, and gradients. Adjust the size of the text, its position, rotate, zoom in and zoom out it. Share the image with your friends or just save it on your phone. You can love calligraphy for the fact that it promotes artistic self-expression. Now calligraphy exists mainly in the form of invitation cards and wedding greetings, in the form of fonts and hand-written logos. 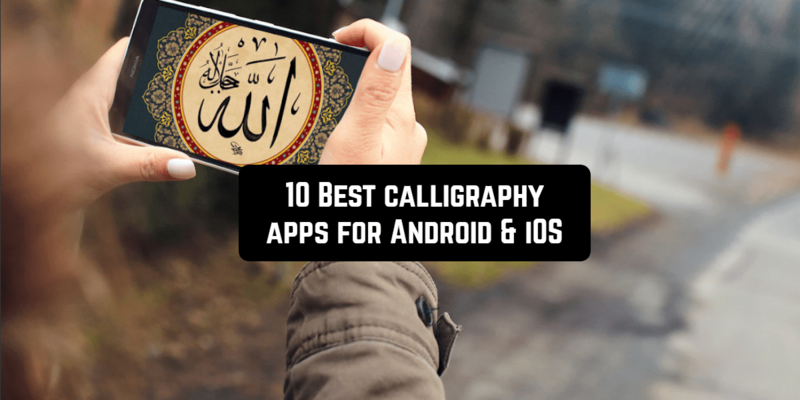 Also, you have a possibility to create calligraphy masterpieces on your Android. 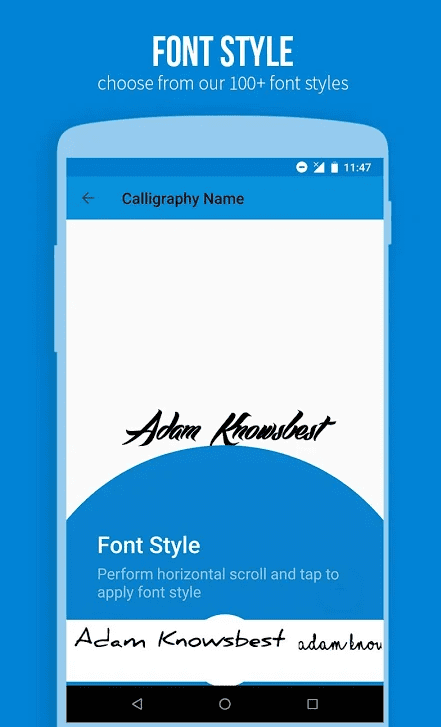 With Calligraphy Name, you can write your name using unique font styles. Probably you should not look for a reason to be engaged in calligraphy. It’s good when there is a place in the world for beautiful and useless things. Besides, it’s nice to amaze friends and acquaintances with such an exotic hobby as calligraphy!